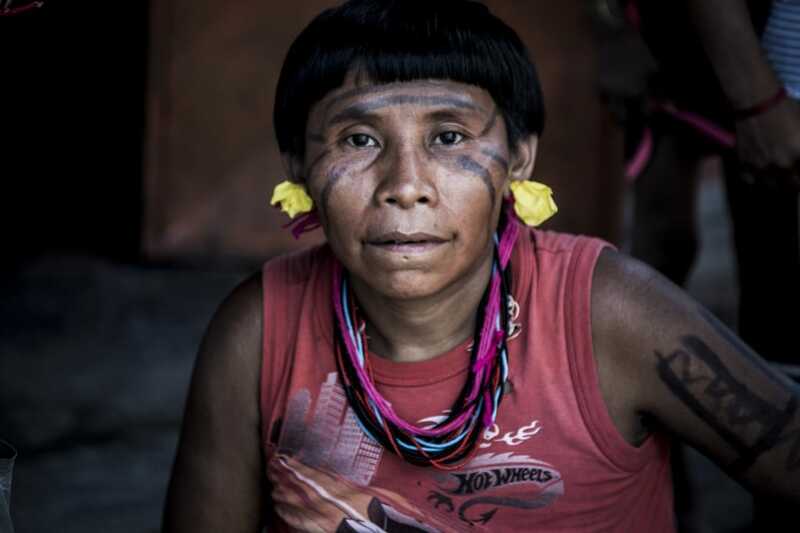 Yanomami is one of the last remaining Indian tribe (Amerindians as the proper name) living deep in the Amazonian jungle, between northern Brazil and southern Venezuela. 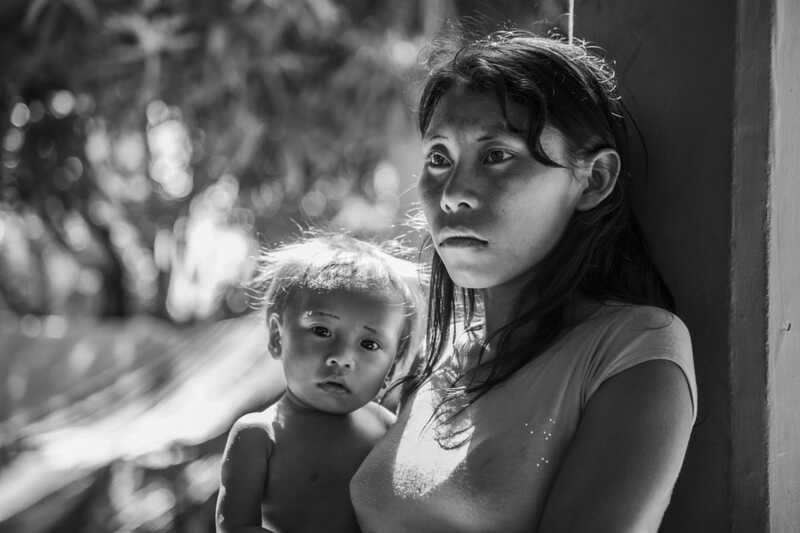 Although it is the most populous of the isolated tribes, it’s in risk of extinction, endangered by the infringement of their ecosystem, the brutal, bloody raids by illegal gold miners, loggers, drug traffickers and farmers who are devastating the Amazon rainforest. Massacres, persecutions, deforestation and poisoning of the water and the food chain from the goldsmiths’ toxicities… In addition to the attacks and violence between the tribes, the diseases introduced by Western conquerors, missionaries and scientists in those populations lacking the immunity of even a single flu, have decimated entire villages. Yanomami still live using primitive tactics for their survival. They use poisonous arrows for hunting forest animals and the game is equally distributed throughout the village. They also fish with various techniques. But the main part of their diet consists of small farming, fruits, crops and plants of the forest as well as insects. They also collect wild honey that is considered to be of high value. As known, they are also engaged in some cannibalistic rituals. The appearance of the Yanomamis is distinctive. Maintaining pure genetic features, they have white, pale skin and split eyes that resemble to their Asian origin, when their ancestors crossed the Bering Strait and colonized the American continent. They practice minimal dressing and usually run half-naked, they dye their body and face with pigments while their haircuts are characteristically cut circular in shape like a hat. They pierce and decorate with sticks their ears, lips and nostrils, trying to resemble the look of the jaguar. 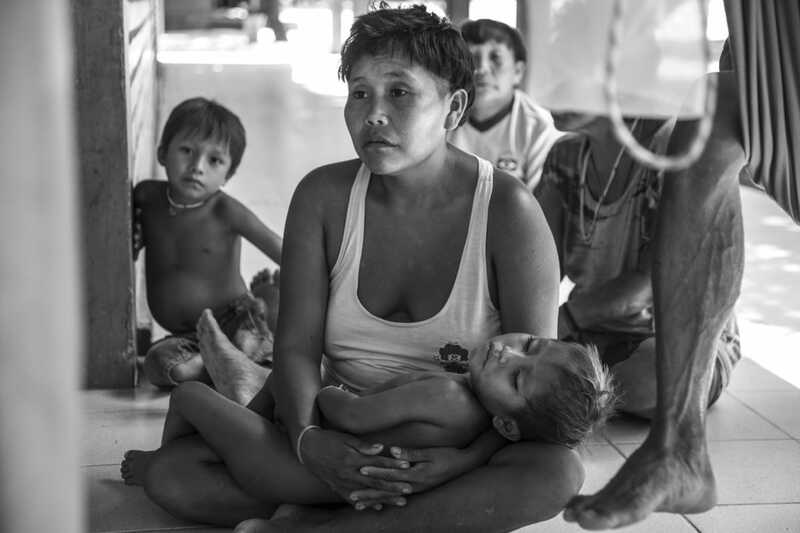 The spiritual world is an essential element of Yanomami’s life. They believe that the spirits possess not just the living beings but also every natural element, the stones, the rivers, the mountains. Shamans have the ability to see the spirits and communicate with them by inhaling a hallucinogenic type of snuff. However, the survival of the tribe is far from optimistic. 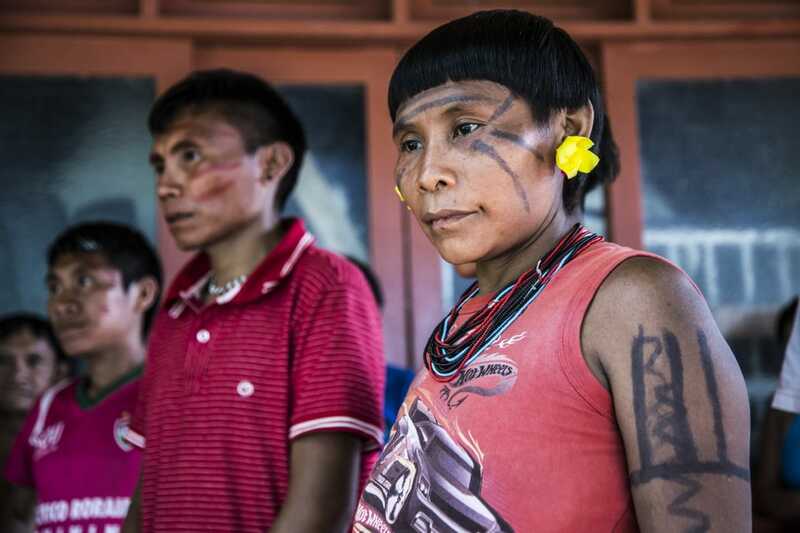 In Brazil, FUNAI is an organization established to protect indigenous tribes, without however having a substantial effect on preventing attacks on their environment, or satisfactory medical assistance. 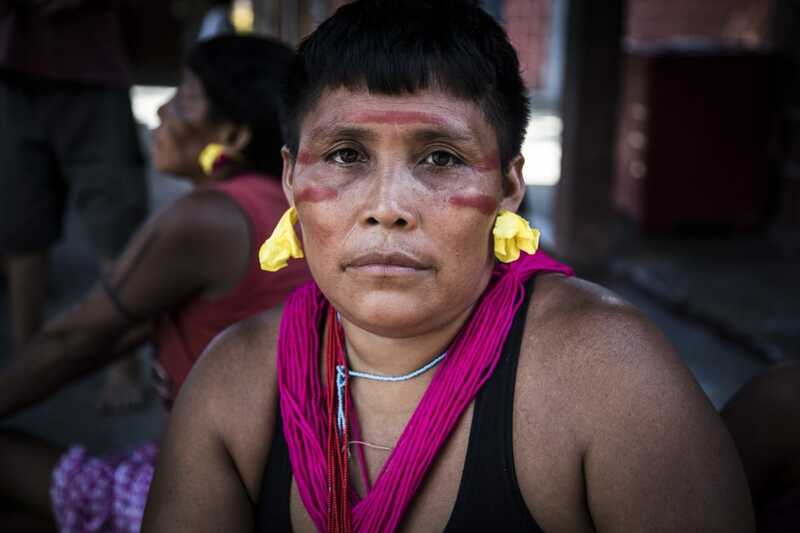 Although Yanomami is at risk due to many factors and less from tourists’ visits, FUNAI makes it difficult to obtain a permit to legally organize a difficult, painful, time-consuming, costly and dangerous mission in their area. And it was a strong temptation to choose of an illegal mission, despite the little information and the uncertain outcome of success or even the safe return from such a trip. 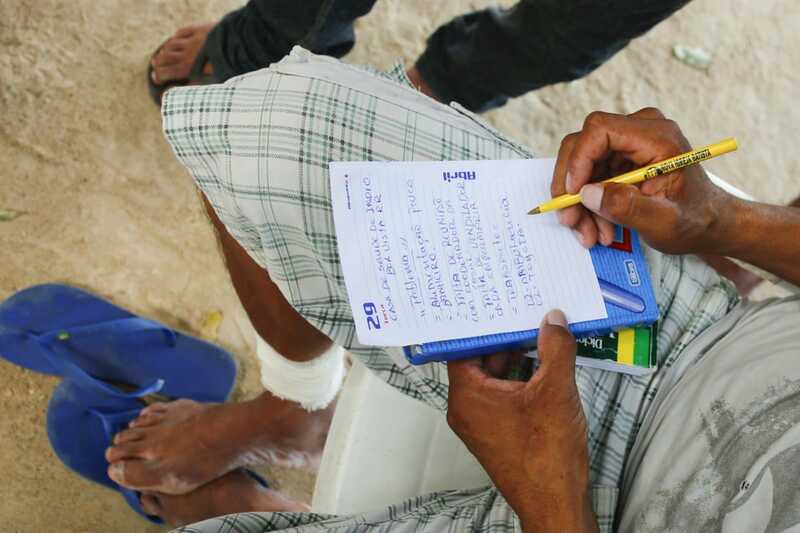 We probably had the most wise decision to postpone this plan and use the information collected, in order to organize with responsibility to ourselves and the tribes, a future expedition. Though, we finally met the Yanomami. 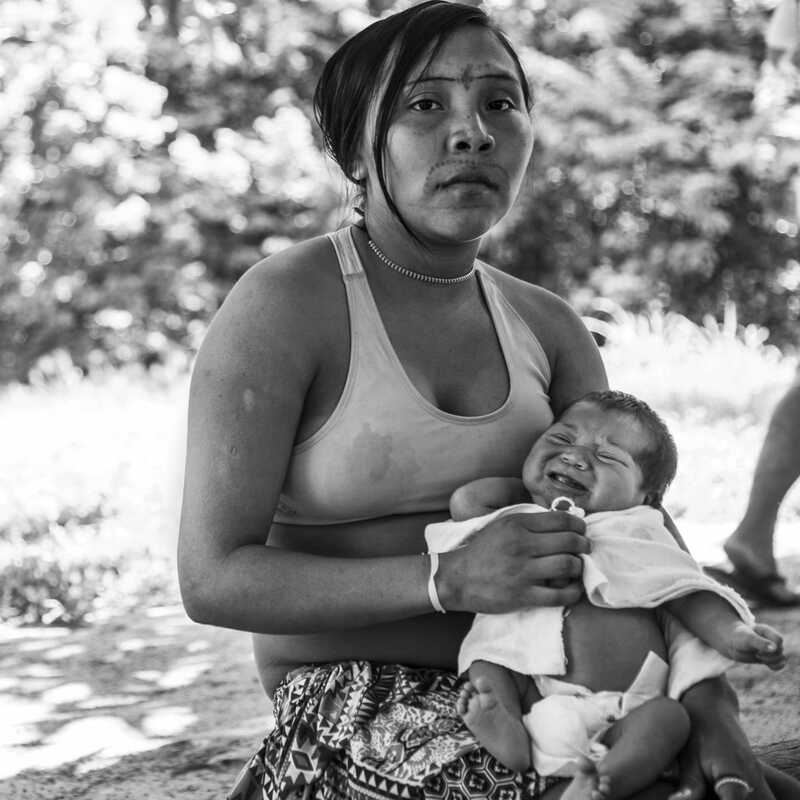 Not in their natural environment, in the virgin Amazon rainforest, but in a low conditions camp with insufficient hospital care. Keeping my promise to them, I publish this article hoping for the desperate voice of thοse people to be heard. We are near the city of Boa Vista in northern Brazil. We are accompanied by an urbanized tribe leader. He wears his special hat decorated with parrot feathers and we pass with him the camp gate as his guests. We faced their hesitance, cautiousness and we really felt uncomfortable invading their space. Some guided us to the health care facilities. There was medical staff around but some patients were in very bad condition. A young man unconscious seemed to be walking to the threshold of death. 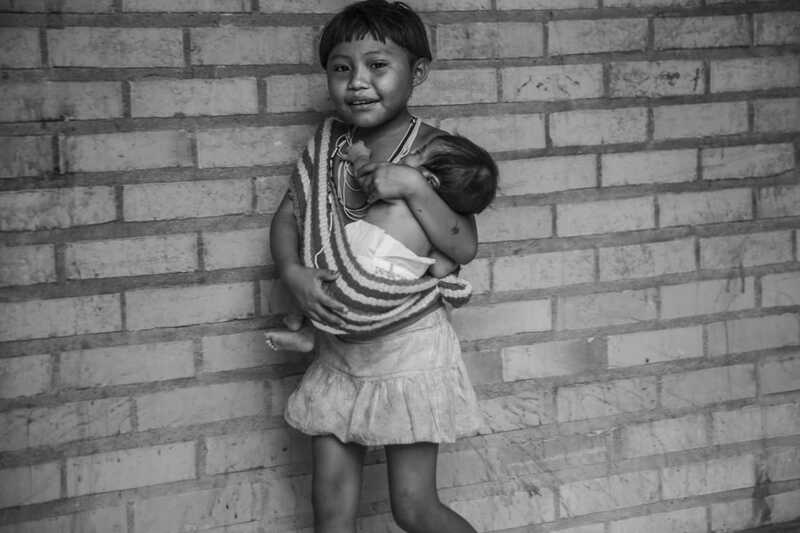 Others are in kind of better condition with bone fractures or mothers with newborns. The accommodation was tragic. 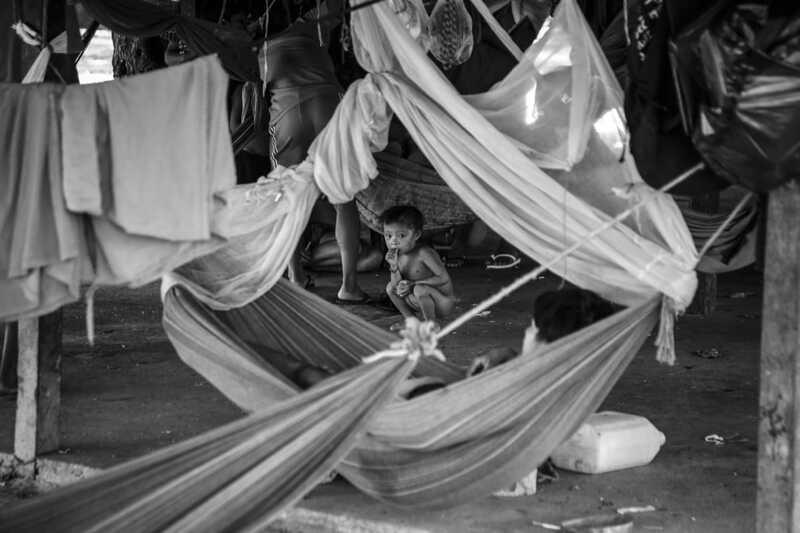 Open spaces with hammocks densely installed where people of all ages, ill and healthy, live in ambiguous hygiene conditions. The two toilets that exist are obviously inadequate for about 300 people, resulting a filthy odor coming from the surrounding fields. Most people were dressed, but with old ragged clothes that were given to them, missing underwear. Many women and children had the characteristic dyeing of their body and face and pierced lips and nostrils. It’s one of the most sad experiences I have ever experienced on a trip. And although I do mostly trips of experience and not amusement, although I have encountered conditions of deep poverty and misery in many developing countries on the planet, my soul was devastated by this human drama. Of course, the mood for interaction with the tribe and photo shooting them had been blown away. An urbanized representative of the tribe took a speech and passionately talked in their language, raising them for their rights and demands. Following my obligation, i post these requests, hoping to make them known, with the ultimate goal of raising awareness in the Brazilian nation, the government, the FUNAI organization and the rest of the world. 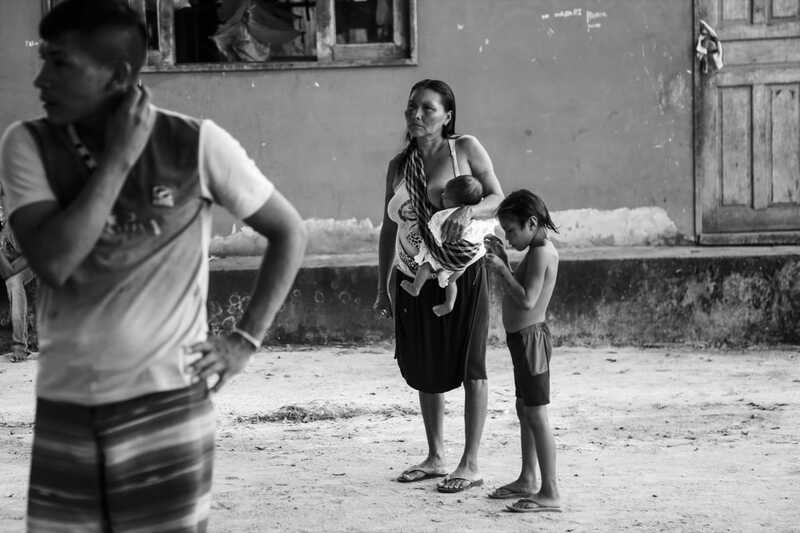 The life of indigenous tribes is not as idyllic as in movies. 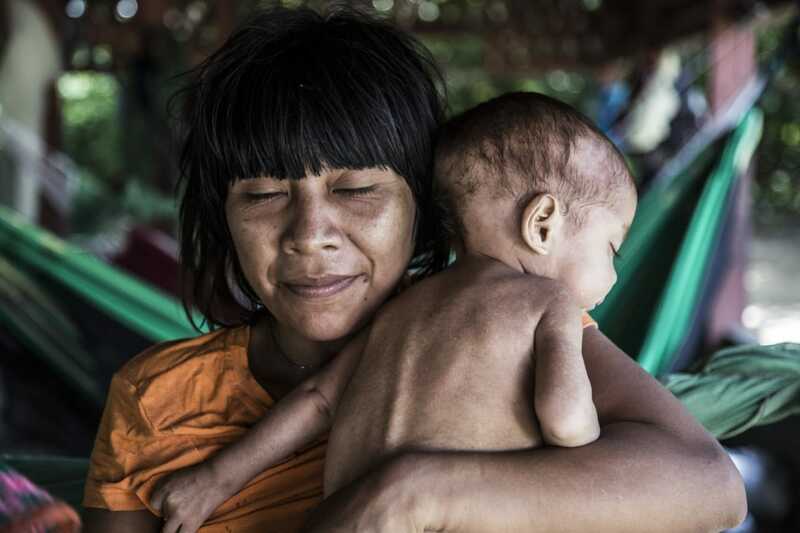 The last tribes of the Amazon are dying, exterminated. It is an obligation for all of us to protest, our voice have to contribute for their salvation.